Are you using the right bait? And what about the line? The New York Times Book Review published an interesting essay – “How Writers Build the Brand” by Tony Perrottet – on the strategies and tactics that authors use to promote their books and themselves. 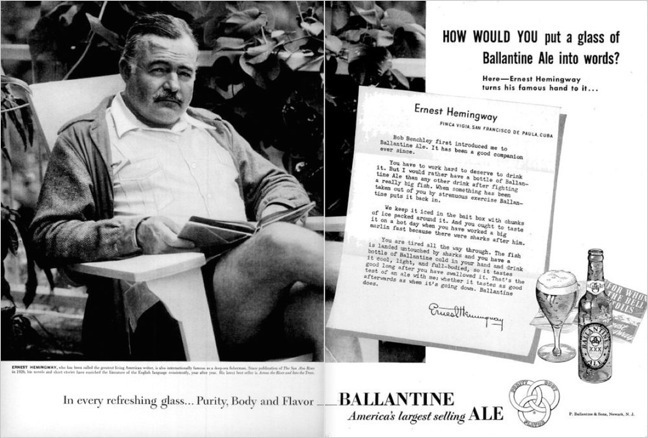 The article calls out Ernest Hemingway, who so mastered the craft that he was able to extend his author aura to a range of brands, including Pan Am, Parker Pens and Ballantine Ale. Previous Previous post: Disruption changes the process of thought and even state of being.